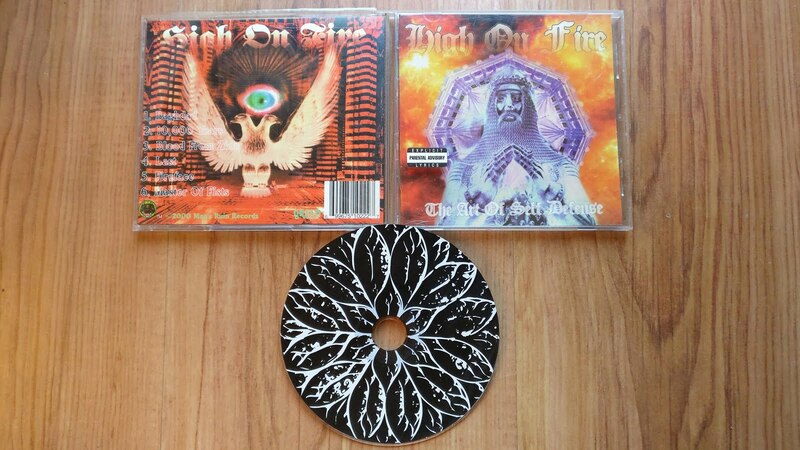 The first two album from High On Fire here, the band formed by Matt Pike shortly after the dissolution of doom-meisters Sleep. 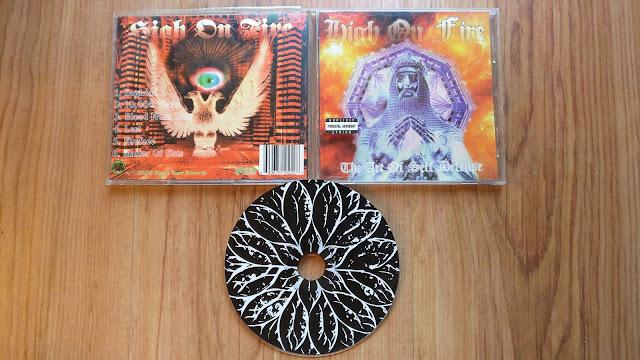 Plenty of similarities between the two bands to be heard, and as you might expect, top quality sludgy stoner doom is in bongfulls on these albums. Smoked out, hazy lazy doom all the way. 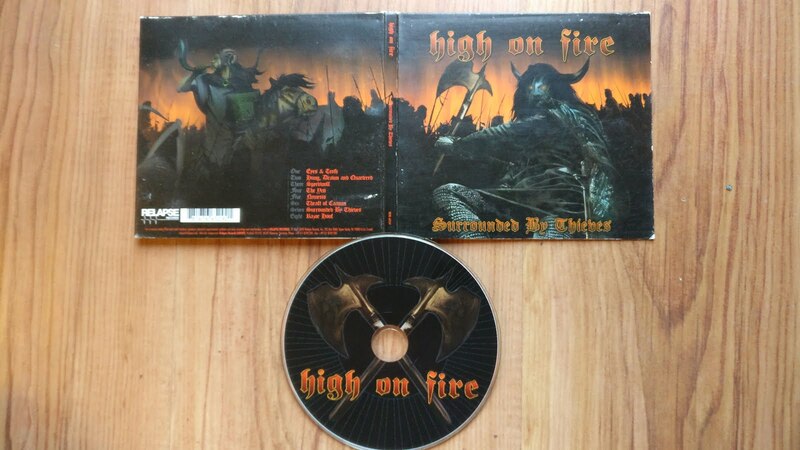 'The Art of Self Defence' is the original Man's Ruin Records press (re-presses had different artwork), and 'Surrounded by Thieves' is the Relapse digipak version.